Although the flamboyant reds, yellows and oranges of fall always receive the most attention, there is an equally beautiful showing of colour in May. From the radiant white blossoms of serviceberries and trilliums to the fresh, lime‑green leaves of sugar maples, May paints the landscape with a gentle warmth all its own. And, unlike many phenomena in nature, the transformation of the landscape from grays and browns to greens, whites, yellows, purples and pinks, is easily observed by all. The order in which the various species of plants bloom and come into leaf is the same each year. Although variations in weather conditions may accelerate or slow down the process, the general sequence does not change. 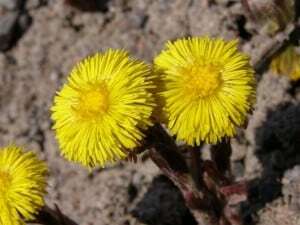 The first herbaceous plant to flower in spring in the Kawarthas is Coltsfoot, a yellow‑blossomed, dandelion-like denizen of roadsides. Usually by mid‑April – but only just starting this year -, the first true woodland flowers appear, beginning with Hepatica and followed shortly after by Bloodroot, Blue Cohosh, Trailing Arbutus and Marsh Marigold. As we move into early May, dozens of other species join the blossom parade including Common Dandelion, Spring Beauty, Trout Lily, Large-flowered Bellwort and various species of serviceberry (Juneberry). By the middle of the month, we can expect to find Common Lilac, White Trillium, Red Trillium and Pin Cherry all in bloom. And, by late May, Mayapple, Jack‑in‑the‑Pulpit, Wild Columbine, Choke Cherry, Red‑osier Dogwood, the various hawthorns and the first orchids will be flowering. All of our trees produce flowers, too, even though they often go unnoticed and unappreciated. Red and Silver maples, which have been in flower for several weeks now, have been joined in recent days by White Birch and American Elm. Take a moment to look closely at the flowers on low-hanging branches and you will see dainty floral parts tinged with pastel reds, yellows, browns and greens. In the next couple of weeks, Sugar Maple will be flowering, as well. This is a spectacle not to missed. These trees literally glow in a garb of pale yellow as tens of thousands of tassel-like flowers hang from the twigs. Within a week or so, the male flowers fall to the ground, leaving a yellow confetti on sidewalks and roads. Norway Maples, which bloom at about the same time, look like giant, lime-green pompoms. Their leaves and flowers emerge simultaneously. Soon after the maples, the oaks, too, will be in flower. The caterpillar-like male flowers (catkins) are as long as the emerging leaves. 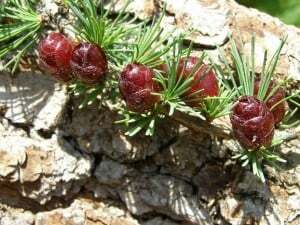 Mid-May also sees the appearance of flowers cones on pines, spruces and larches. The purple-pink female cones of the American Larch (Tamarack) are especially beautiful. The leaf‑out of trees and shrubs follows a predictable sequence, too. Red‑berried Elder is the first species to come into leaf, usually in late April. Early May brings us the leaves of Manitoba Maple, Norway Maple, Trembling Aspen, Common Lilac, willows and both Pin and Choke Cherry. Sugar Maple, Bigtooth aspen and Tamarack leaf out in mid‑May, while Red Maple, American Basswood, oaks, elms and ashes wait until later in the month to produce their leaves. As the trees leaf out, take time to appreciate all of the different shades of green that grace the landscape. Among my favourites are the shiny, light greens of aspens and the gentle, pastel tones of new Tamarack needles. In addition to the spectrum of greens, white is another signature colour of May. Early in the month, serviceberries stand out like white beacons against the slowly greening landscape. These small trees grow in clumps and are common along roadsides and field edges. We tend to notice them only in the spring, however, when their beautiful masses of white, five‑petal flowers burst forth. 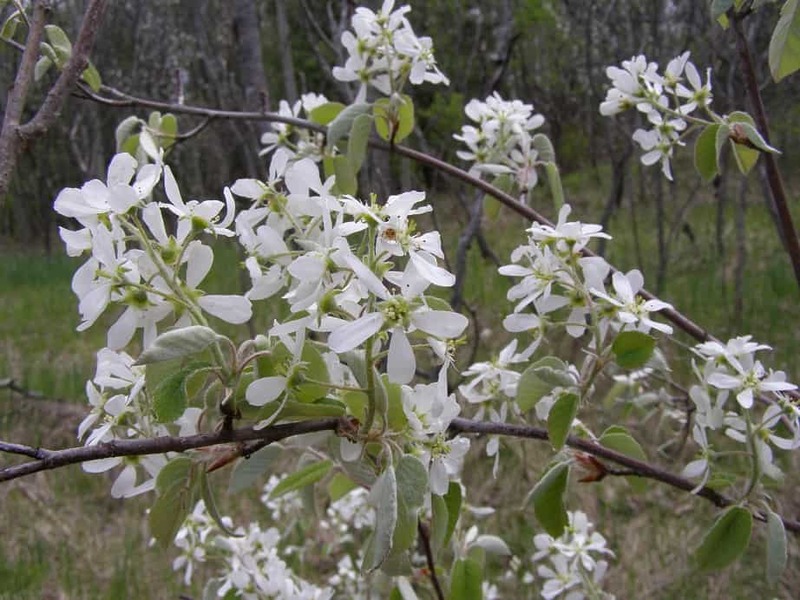 Belonging to the genus Amelanchier, they also go by the name of Juneberry, because their fruits ripen in June. Later in the month, Pin Cherries and Choke Cherries add their own splashes of white. They tend to grow in the same habitat as serviceberries. Cherry leaves are unique in that they are tinged with bronze‑orange when they emerge. Hawthorns, a species of old fields, and Red‑osier Dogwoods, a shrub of wetland edges, complete the white blossom parade. Many of our wildflowers also have white blossoms. The White Trillium is certainly the best known. Standing nearly a foot tall and flaunting flowers three or four inches across, trilliums form a carpet of white over the forest floor, that is hard not to notice. This species is well‑named with its three leaves, three petals and three sepals. Yellow is another common colour this month. And, any discussion of yellow leads directly to the Common Dandelion. Introduced from Europe, dandelions provide copious amounts of pollen and nectar to insect visitors. Insects see the flowers as shining points of ultraviolet light set against a green background, which they perceive as grey. Dandelions are largely responsible for the first honey of the season, thanks to their attractiveness to honey bees. Yellow flowers also turn up in wet habitats in early spring, thanks mostly to Marsh Marigolds, also known as cowslips. In the unblocked sunlight, they grow up to 18 inches tall and have huge, heart‑shaped leaves. The flowers usually have five petals. The swampy woods along University Road, just south of Nassau Mills Road, is a great place to see them. It is believed that white and yellow are particularly efficient colours at reflecting sunlight from a plant’s petals onto the central reproductive parts of the flower. This helps to accelerate the development of pollen and seed in the cool spring weather. The heat that accumulates in this manner may actually raise the temperature inside a trillium or marigold several degrees above the surrounding air. Insect pollinators probably find the slightly warmer temperatures of the flowers very much to their liking, as well. For many of us, May is also synonymous with the purple blossoms of lilacs. Lilac bloom times and leaf emergence have long been monitored in both Canada and the United States, since they are examples of natural events whose timing can be influenced by climate change. On average, lilac leaves now emerge in the northern hemisphere about five days earlier than they did 50 years ago. In order to see the whole flower show, you will need to be out looking at least once a week. Woodland plants in particular have a very short blooming period. Their life cycle is attuned to the rhythms of the forest canopy. Once the leaves have fully emerged, most flowers quickly disappear. The light available on the forest floor for photosynthesis quickly falls to 1% of the level at the top of the canopy. In the deep shade of the inner forest, plants struggle to produce enough food even for their own needs, let alone having food left over for the purpose of flowering and seed maturation. Species like trilliums are therefore engaged in a veritable race against the clock to bloom, attract pollinators and build food reserves through photosynthesis before the canopy closes. Two of the better places to see woodland plants include Mark S. Burnham Provincial Park on Highway 7, just east of Peterborough, and the Emily Tract forest, located in the City of Kawartha Lakes on Victoria County Road 14, west of County Road 10. Do You Know Your Cones?